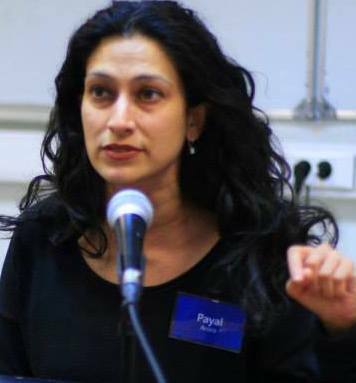 Payal Arora is the author of several books including Dot Com Mantra: Social Computing in the Central Himalayas (Ashgate, 2010), The Leisure Commons: A Spatial History of Web 2.0 (Routledge, 2014; Winner of the EUR Fellowship Award), and Poor@Play: Digital Life beyond the West (forthcoming with Harvard University Press) and Crossroads in New media, Identity & Law with co-authors W. de Been & M. Hildebrandt (forth; Palgrave). She has consulted for both the private and public sector worldwide including GE, Shell, World Bank, hp, National Health Foundation, The Ministry of Education in Jordan, Sotheby’s, Art Review, Kellogg and the Beirut Chambers of Commerce. She has been an invited speaker at several prestigious universities including Cornell, Duke, and Kings College London. Her paper on digitization of information won the 2010 Best Paper Award in Social Informatics by the American Society for Information Science and Technology (ASIS&T). Her interest and expertise lies in the anthropology and sociology of new technologies, particularly their digital cultures and social practices. She sits on several boards including the Global Media Journal, The South Asian Media, Arts & Culture Research Center in University of North Texas, Young Erasmus, and The World Women Global Council in New York. She holds degrees from Harvard University (M.Ed. in International Policy) and Columbia University (Doctorate in Language, Literacy & Technology). She is currently based in the Department of Media and Communication at Erasmus University Rotterdam, The Netherlands. For the full profile, click here.